Your little guy wants to get outside and play, he doesn't care that it's cold outside and the leaves are falling. In fact, that's just fuel on his adventure-fire. 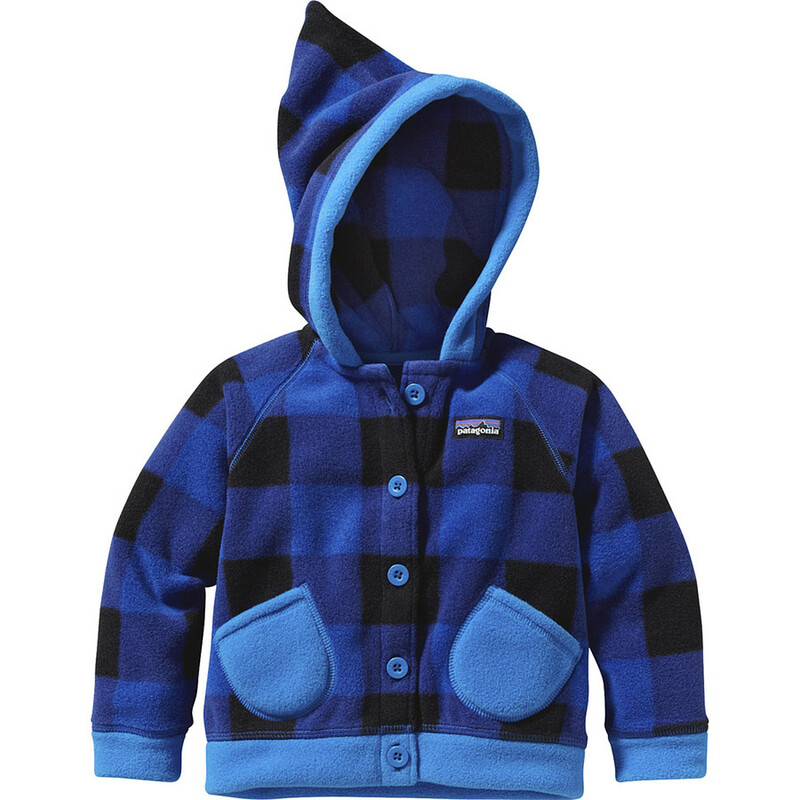 Help him into the Patagonia Toddler Boys' Swirly Top Fleece Jacket and unleash him on the backyard to mess up those piles of leaves that you just spent all afternoon raking. Easy on/off buttons make robing and disrobing a breeze, and two patch pockets let him scoop up trinkets of interest for later study. 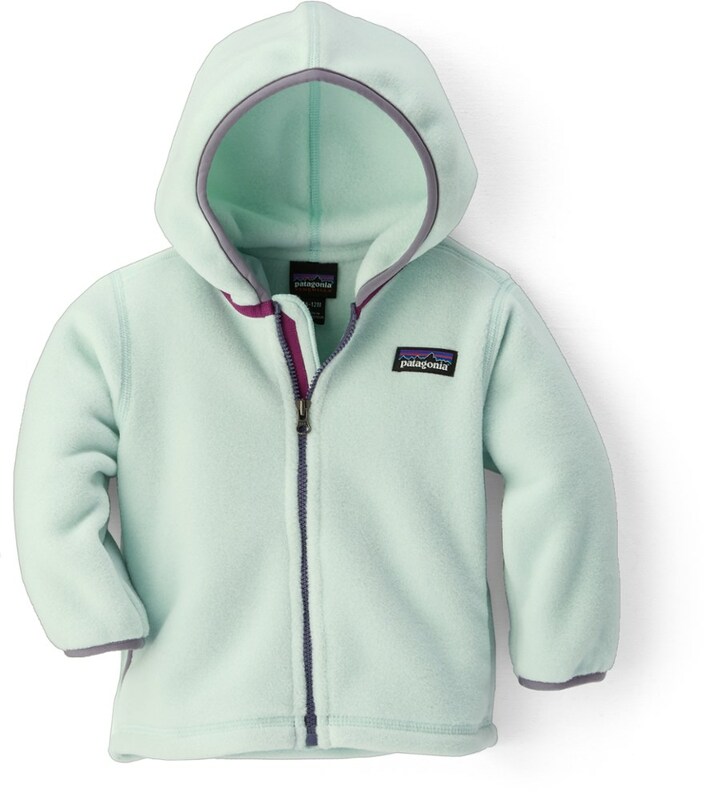 An impishly pointed hood tops off this 200-weight fleece baby jacket with easy on/off buttons and patch pockets in a mix of solids and prints. 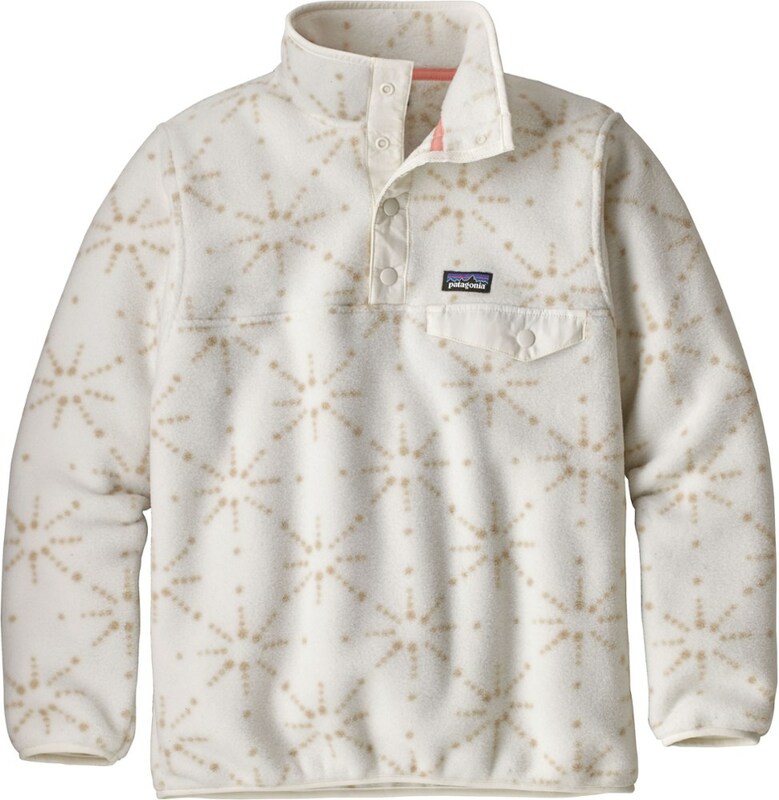 Celebrate the change of seasons with a flour- the Swirly Top Jacket provides warmth and whimsy for pint-sized wanderers. 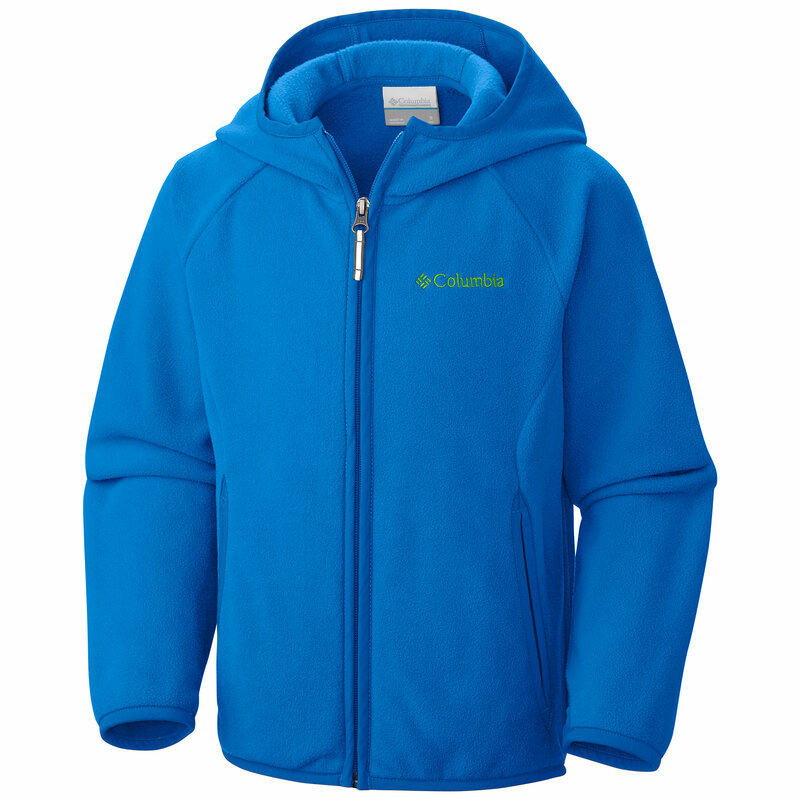 The jacket's toasty 100% polyester fleece (85% recycled for solids) provides breathable comfort. Pointed hood lends elfin flair. Contrast details at hood, elbow patches, front pockets and cuffs. Five-button, center-front closure. Two patched-on handwarmer pockets hold binkies and pinecones. Hand-me-down ID label. 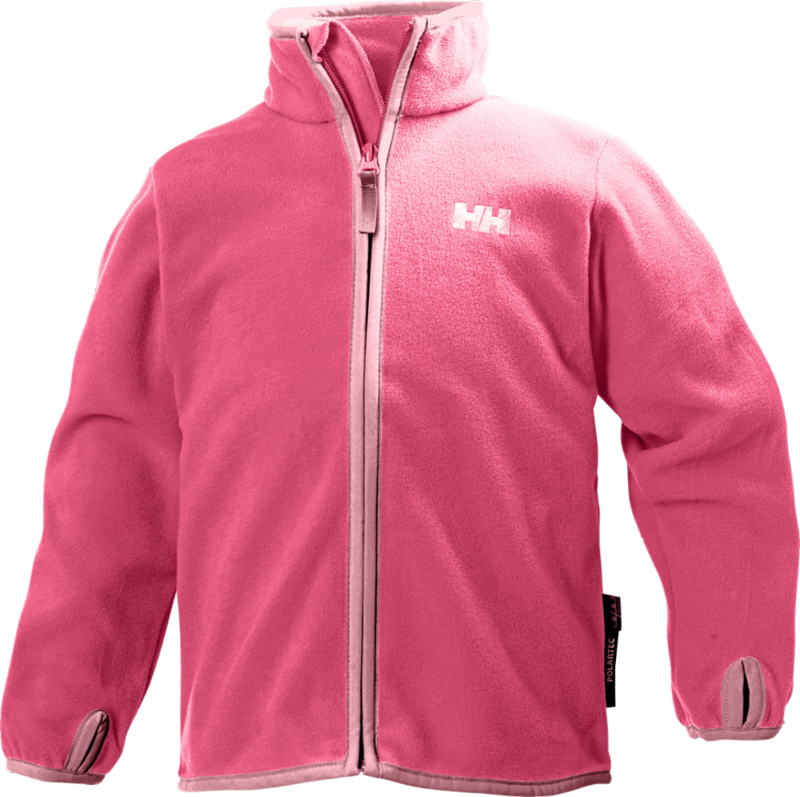 The Swirly Top Jacket provides warmth and whimsy for wee wanderings. 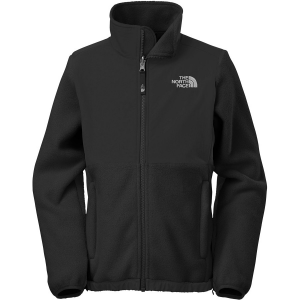 The jacket's toasty 100% polyester fleece (solids 85% recycled) provides breathable comfort. Pointed hood lends elfin flair. Contrast details at hood, elbow patches, front pockets and cuffs. Five-button, center-front closure. Two patched-on handwarmer pockets hold binkies and pinecones. Hand-me-down ID label. 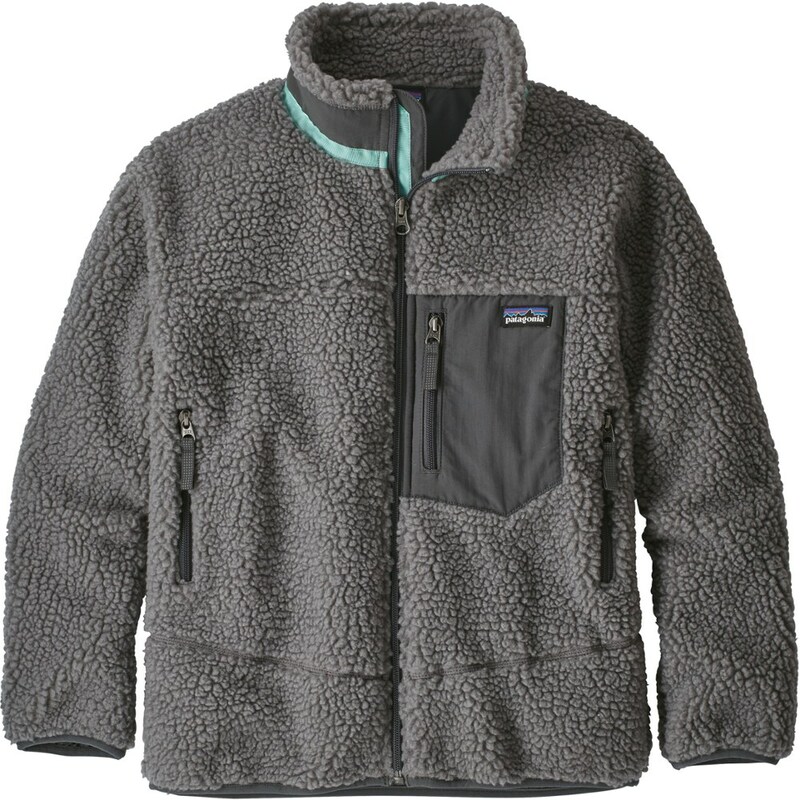 The Patagonia Swirly Top Jacket is not available from the stores we monitor. It was last seen January 9, 2018	at Backcountry.com.